NEWPORT BEACH — Bahia Corinthian Yacht Club will host the 12th Annual Corinthian Cup Regatta in Newport Beach, Oct. 21-22. The two-day regatta takes place in Newport Beach Harbor. All junior sailors of SCYYRA (Southern California Youth Yacht Racing Association) club members are eligible to participate. “The Corinthian Cup is one of the biggest junior sailing events every fall in Newport Harbor,” regatta chairman Derek Johansson said in a released statement. 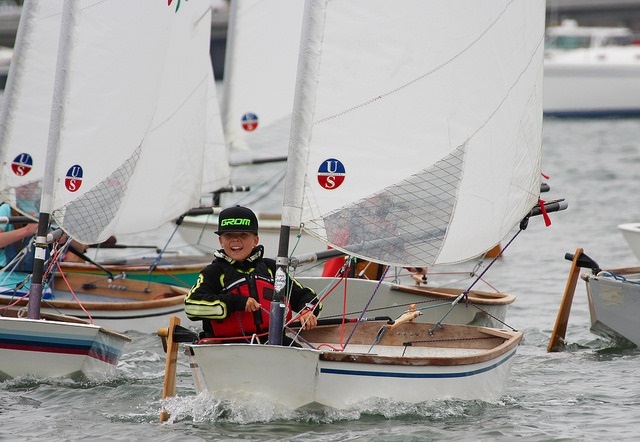 Approximately 70-80 junior sailors (7-18 years of age) will represent Southern California yacht clubs from Long Beach to San Diego. Sailors will compete in the following one-design sailboat classes: Sabot, Laser, Laser Radial, CFJ, C420, and, for the first time, RS Tera. Bahia Corinthian YC will be defending its title this year. The Corinthian Cup, a major junior regatta held each fall since 2006, is unique event since sailors compete not only as individuals within their respective classes, but also as part of their racing team to win the Corinthian Cup perpetual trophy. The perpetual trophy is awarded to the yacht club with the highest overall score based on participation and performance. Extra points will be awarded to sailors travelling from yacht clubs outside of Newport Beach Harbor to encourage sailors from San Diego to Long Beach and beyond to participate. Trophies are given to class winners, and Olympic-style medals are awarded to each member of the winning team. Sportsmanship Awards are also given to juniors who demonstrate Corinthian Spirit on and off the water during the regatta. Each participant is also entered into a free raffle for several prizes. The Bahia Corinthian YC Columbia Room and dining room are available to sailors and their families for drinks and dining throughout the weekend, offering Saturday breakfast service, Sunday omelet express buffet, lunch, and Sunday supper buffet. To learn more about the Bahia Corinthian YC junior program, contact director Cameron MacClaren at 949-640-2402, or visit bcyc.org.